The Canary Islands are always popular with holidaymakers hoping to relax on the beach, top up their tans and splash in the sea. But, thanks to being the windiest island in the Canaries, surfing in Fuerteventura is the ideal activity for thrill seekers who are in search of the best waves. Anyone who needs to brush up on the basics should head straight to Playa de Esquinzo. The surfing schools don’t use this stretch of shoreline as it’s a little hard to get to, but it’s well worth making the effort to reach it. Hop into a hire car and head towards Casas de Taca before turning off towards the coast: there’s plenty of free parking at this black sandy beach, and you’ll be glad of the peace and quiet. The gentle waves here are perfect for beginners who want to learn to surf without the worry of a crowd watching. On the other hand, Playa Del Moro is a great surfing spot if you’re ready for further lessons from a pro. The surf schools teach here as the waves are suitable for surfers of all ability levels, but there’s plenty of room to go off on your own to ride the waves if you already know what you’re doing. There are lots of restaurants and cafes near the beach, and local favourite Tía Jass is just a three-minute walk from the seafront. Similarly, Punta Elena is a reef break that’s perfect for beginner and intermediate surfers. There are some enjoyable easy rides in the reef, such as Rocky Point (perfect for beginners), whereas the peaks a little further out are better suited to seasoned surfers who can handle the bigger waves. There are big swells providing barrels and long rides, and are best caught at low tide. And when you’re ready for a refreshment or a change of scene, the restaurants, bars and shops are under 20 minutes away. Alternatively, El Hierro is the most popular spot on the island for seasoned surfers hoping to catch a wave – particularly in the winter months. This stretch to the north should only be attempted by intermediate and advanced surfers due to the speed and power of its left-moving waves. You can park the car directly beside the beach if you’re looking to attempt the high-quality barrels. Finally, Los Lobos is another good spot if you’re an intermediate or advanced surfer heading on holiday during the winter. 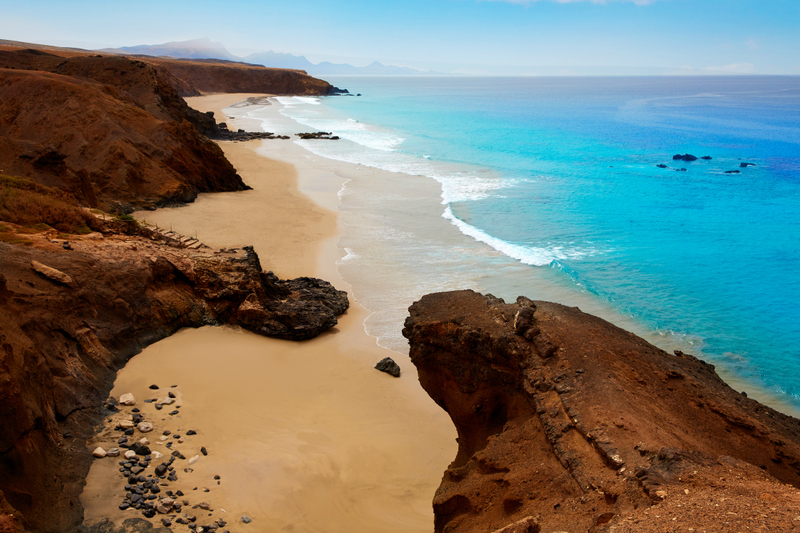 Lobos Island is a mostly uninhabited islet just north of Fuerteventura, with crystal-clear waters and consistent quality waves that can reach up to four metres. It’s thought to be the best place in Canaries for a long, fast right-hand wave. Fuerteventura is one of Europe’s very best surfing spots, with ideal conditions all around the island. 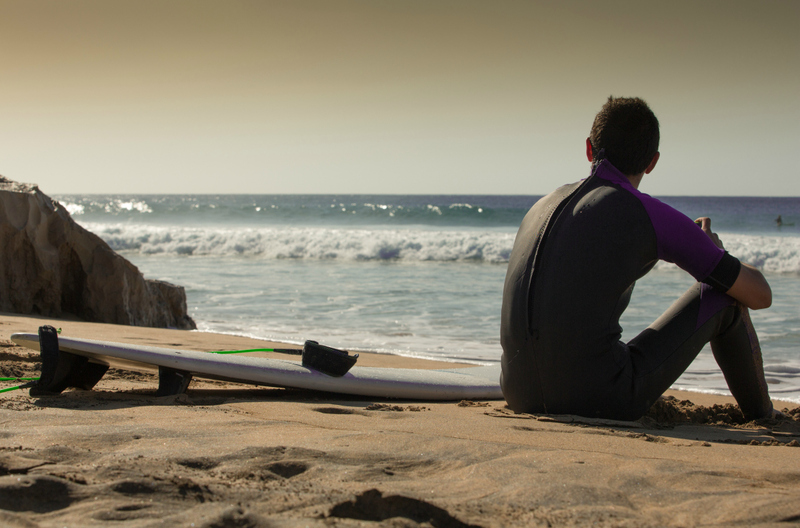 There’s plenty to keep you occupied whenever you’re out of the water too - particularly if you head to Playa del Moro or Punta Elena - so bring your surfboard to Fuerteventura and enjoy its very best surfing spots.